Commercial and Industrial grade freezers designed for temperatures as low as -85° C. Featuring a wide selection of upright and chest models, our ULT freezers feature state-of-the-art controls and professional grade backup systems to protect your projects. Our wide selection of Low Temperature Freezers keep your projects at temperatures as low as -40° C and are available in commercial or industrial grades. With state-of-the-art features and superior construction, these freezers give you the assurance that your work is protected. Our small laboratory freezers are designed for temperatures as low as -45° C and feature countertop, under counter, and chest styles. Efficiency and easy access are hallmarks of our lab freezers. Commercial grade upright laboratory freezers designed for temperatures as low as -30° C. Quick cooling and highly efficient, these freezers eliminate the problems of temperature fluctuations that can lead to the loss of test results, research, reagents, and more. Where -40°C is Considered Hot! 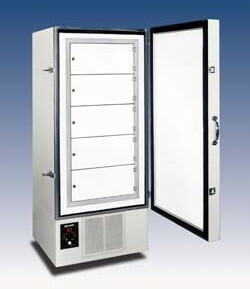 Laboratory freezers from Freezer Concepts are key to the success in many industries. Medical freezers are an essential and critical piece of equipment in any health care environment to include hospitals, laboratories and pharmaceutical applications. Materials stored include skin, bone, blood and vaccines. Let us help you find your industrial freezer, call 203-405-1455 today! In an industry where it is crucial to keep products at sub zero temperatures, you cannot afford to take chances with a sub-par freezer. When you are preserving valuable samples and materials that must be kept at a constant low temperature, Freezer Concepts has the solution for you. With a laboratory freezer from Freezer Concepts, you can be assured that your samples and materials will be kept at ultra low temperatures. Our freezers accommodate internal and external conditions to avoid temperature fluctuations to keep your products safe at a precise constant temperature. Our ultra sensitive temperature-monitoring device will counteract any change in temperature immediately to keep the internal temperature constant. Our laboratory freezers come in a range of upright and chest models in varying sizes to suit your professional needs. We carry 3 door upright freezers with storage capacity up to 80 cubic feet to store a large number of materials in one place. Our laboratory freezers come in smaller sizes, available as countertop freezers or undercounter freezers, to fit into small, easily accessible areas. All of our freezers are available with an optional circular chart recorder to further protect your assets. Space saving countertop freezers are available for temperatures of -5 to-45°C. These freezers can put critical materials closer to the point of use without taking space as they can be placed under the counter, standing on the floor, or sitting on the countertop. Our product is also considered valuable when used as scientific freezers in materials science and research institutions. Evaluation and testing of solids, liquids, and gases used in many industries is accomplished using our low temperature freezers. Industrial Freezers are used for shrink fitting of metal parts storage of chemicals and preservation of epoxies as well as other applications. All of our heavy duty Industrial Freezer models are designed accommodate temperature recorders, inventory control systems and other accessories to suit your individual needs. Many Models In Stock And Ready To Ship! Circular Chart Recorders – These are designed for monitoring a freezer’s temperature continuously on a daily, weekly, or monthly basis. Local visual and audible : Notifying of harmful temperature fluctuations at the freezer as well as through central station capabilities. Telephone Dialer Alarm: Notifying of harmful temperature fluctuations by calling as many as 4 phone numbers continuously until the code is satisfied. Door Locks: To protect valuable contents. Emergency Backup Power Systems: These inverter charger systems can provide automatic and continuous power to keep valuable contents safe for extended periods. 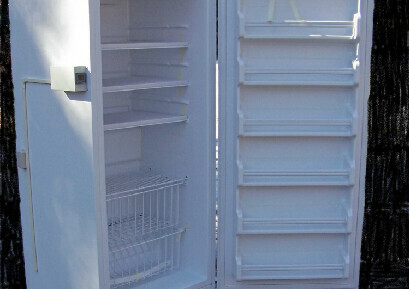 With a Freezer Concepts freezer, you can be assured that your valuable work and materials are preserved. 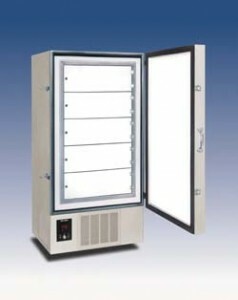 When you are searching for a scientific freezer for your laboratory, don’t trust just anyone. 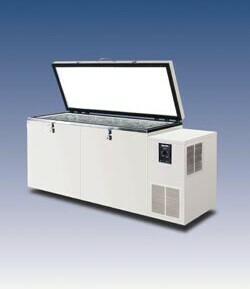 Your materials will be preserved at a constant low temperature with a laboratory freezer from Freezer Concepts. We are the freezer experts. Give us a call today. Call (203) 405-1455 today and let our specialists help you choose the right laboratory freezer!